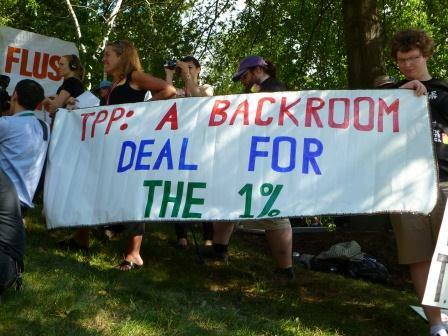 Cities and Counties Look for Ways to Say "NO" to TPP (Trans Pacific Partnership). Federal government negotiating behind closed doors and takes away citizen rights while giving corporations all the power to tell us what we will and will not eat. 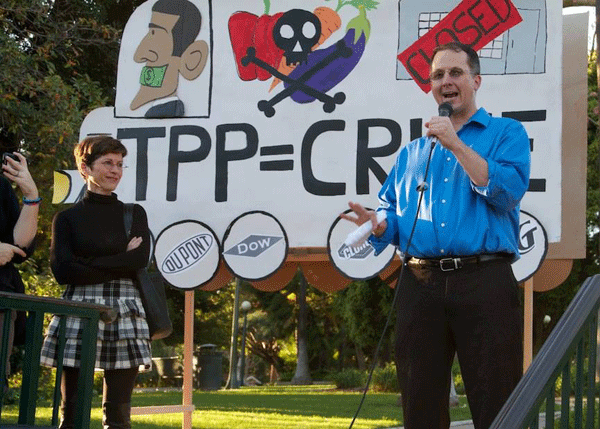 Zack Kaldveer, Organic Consumers Association, explains how the Trans Pacific Partnership (TPP) impacts every American. If allowed will wipe hard fought food safety policies off the books and force US citizen to accept lower quality standards set by the country of origin which will increase food safety risk. 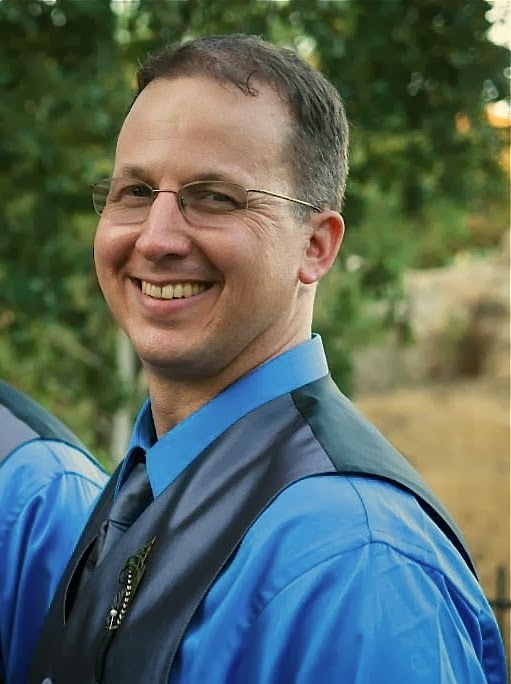 D'Marie Mulattieri joins us as expert guest on the Trans Pacific Partnership that impacts us all. 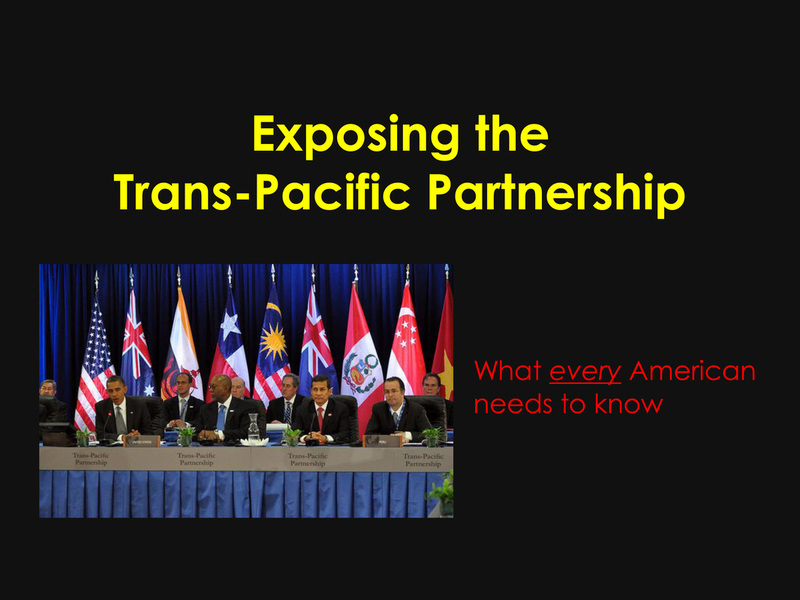 Click Exposing the Trans-Pacific Partnership to view the entire 52-page report. A major trade agreement described by a senior Obama administration official as "the centerpiece of our economic rebalancing" is set to be finalized in the coming months. It has predictably been labeled an international "free trade" deal, but it has less to do with free trade than it does with giving more power and wealth to the government and its corporate cronies. Much of the treaty's text is secret. Congress is almost completely shut out of the negotiations. But, as the WikiLeaks press release explained, "600 'trade advisers' - lobbyists guarding the interests of large U.S. corporations such as Chevron, Halliburton, Monsanto, and Walmart - are granted privileged access to crucial sections of the treaty text." 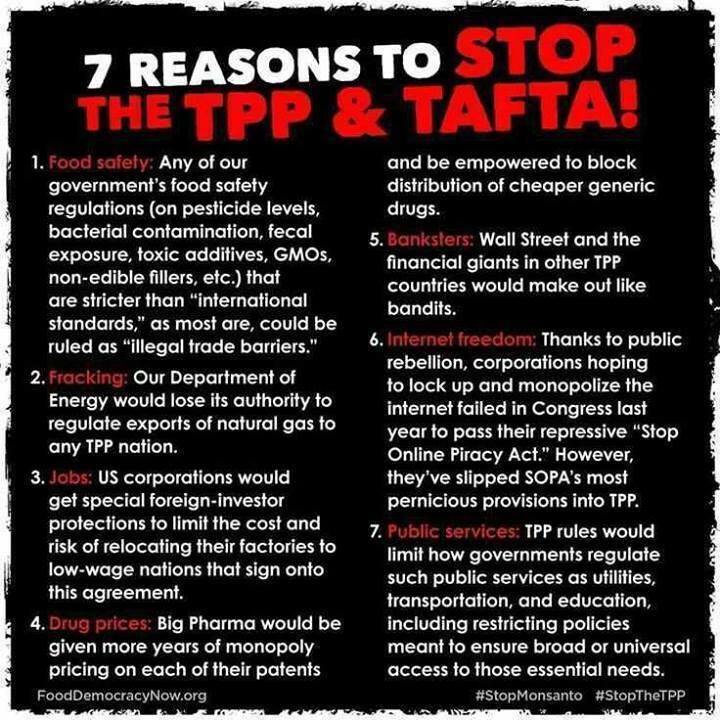 Here are three reasons you should oppose the TPP. TPP Is Not "Free Trade"
Although many tariff regimes are likely to be lowered, the TPP is more like a shuffling of protectionist economic policies, rather than an overall liberalization. Producers and manufacturers in developing countries, ironically enough, have been pushing to reduce trade barriers in order to capitalize on markets in more developed economies. On the other hand, U.S. corporations are lobbying to keep protective tariffs in place. According to a recent Congressional Research Service (CRS) report, the U.S. has tried to include "long tariff phase-out periods, special safeguards, and restrictive rules of origin to protect U.S. domestic producers" from increased competition. "For example," the report explained, "certain U.S. footwear manufacturers have argued for maintaining high tariffs on imported footwear, while Vietnam is pressing for lower tariffs to gain greater access to the U.S. market." Many industry lobbyists are pushing for blatantly unbalanced trade arrangements in the spirit of "competition for thee, but not for me." According to CRS, the U.S. dairy sector has tried to "limit New Zealand's access to the U.S. market for its dairy products" while at the same time insisting on "complete free access for U.S. dairy exports into Canada" and Japan. Since the details of the agreement are secret, it's hard to know ahead of time how successful lobbyists have been in securing government-granted market advantage. But given the outsize influence of special interest groups and politically connected corporations, you can bet the final product will be a far cry from free trade. Thanks to the leaked document released by WikiLeaks, what we know most about TPP is its plans to reinforce patent monopolies, strengthen innovation-crushing intellectual property rights, and extend copyright protections. This is a boon for big business, but it's a bad deal for consumers, impoverished sick people, and anyone who cares about preserving internet freedom. One of the more egregious aspects of the leaked TPP chapter revealed U.S. pharmaceutical companies pushing for longer patent rights for medicines, which has the effect of raising the prices of much-needed drugs. There is even an effort to patent surgical procedures, which would increase the cost and decrease the availability of life-saving medical treatment. Some language in the leaked document talks about "promoting access to medicines for all, in particular concerning cases such as HIV/AIDS, tuberculosis, malaria...and other epidemics." Notably, certain illnesses were excluded from that list because it wasn't in the best interest of Big Pharma. According to the Washington Post, "Chagas disease, a form of trypanosomiasis, a parasitic disease primarily affecting Latin America," was one of the excluded afflictions. "U.S. opposition can probably be attributed to pressure from the pharmaceutical industry," thePost added. According to WikiLeaks, the "IP Chapter also replicates many of the surveillance and enforcement provisions from the shelved SOPA and ACTA treaties." SOPA refers to the Stop Online Piracy Act, an internet copyright enforcement measure that failed in Congress, thanks mostly to activist opposition. According to the CRS report, the U.S. is calling for "criminal penalties for 'willful' trademark counterfeiting and copyright piracy" even when it "result[s] in no direct or financial gain, such as file sharing." The measures would also call for harsher penalties for Internet Service Providers (ISP) for carrying pirated content on their networks, something that could end up restricting access to the internet. According to the Electronic Frontier Foundation (EFF), "the TPP carries draconian copyright enforcement provisions that threaten users' rights and could stifle innovation well into the 21st Century," thanks to "an opaque policymaking process that seems geared towards appeasing Big Content." Just as rent-seekers see market gains as a zero-sum game - using government force to gobble up resources and crowd out competition - the U.S. government views international affairs as zero sum. Notably absent from the TPP members, which include Australia, Brunei, Chile, Canada, Japan, Malaysia, Mexico, New Zealand, Peru, Singapore, and Vietnam, is China, the country that just happens to be Asia-Pacific's economic powerhouse. 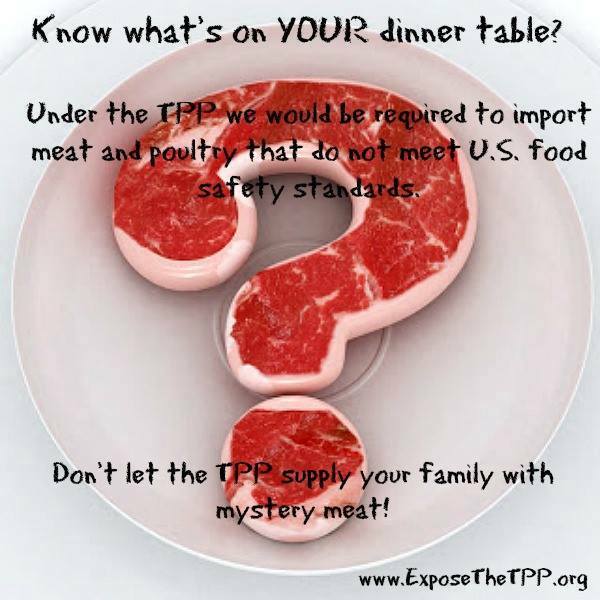 If the TPP were about free trade, surely China would be included. But the TPP agreement is a key feature of the Obama administration's "Asia-Pivot," which is essentially an economic and military rebalancing to East Asia intended to threaten and therefore contain a rising China. After the Cold War, the U.S. stood alone as the world's only superpower. But America's hold on world hegemony is about to slip with China's booming economy and increasing defense budgets. The TPP is meant to exclude China from an economic trade zone, to the benefit of Washington's regional influence. The TPP would establish "rules of origin," which give preferential treatment to goods produced by countries included in the agreement, even if it makes more economic sense to trade with excluded countries. For fear of a great power rival, the U.S. is trying to impede China's economic growth by excluding it from supposed "free trade" deals. Not only is this categorically anti-free market, but it represents the interests of Washington's own global power, not the interests of consumers in the market. 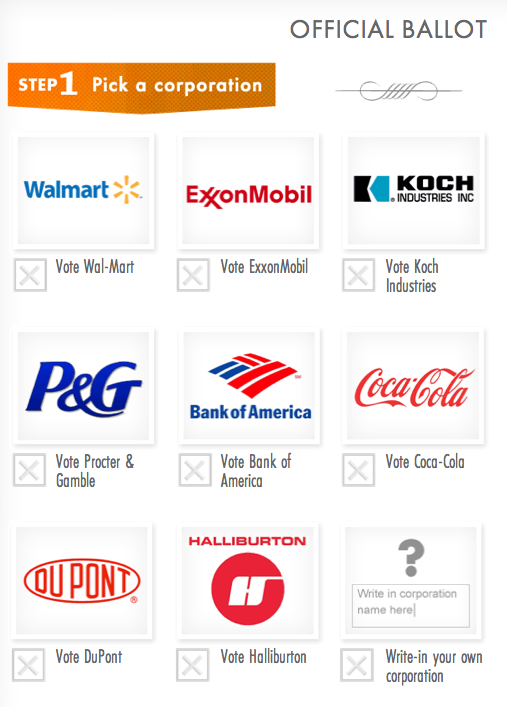 Together with the corporate welfare embedded in the TPP, this should turn off both the left and the right.